Large banks have been in the news lately for various forms of misconduct, from rate fixing to money laundering. But the press largely has ignored the law firms that represent banking scoundrels. Birmingham-based Bradley Arant is one such law firm. We've already shown that Bradley Arant has a penchant for representing bad actors. One is Campus Crest Communities and its CEO, Ted Rollins, who has a documented history as a child abuser, based on his conviction for the assault of his 16-year-old stepson. Another is London-based HSBC, which recently was exposed as a source of international money laundering for a variety of criminal enterprises. But our research shows that Bradley Arant's ties to unsavory conduct are deeper--and hit much closer to home--than most Alabamians probably realize. That is largely driven by Birmingham's long-time status as one of the nation's top 10 banking centers. One bank with deep roots in Birmingham has a history of moving dirty money for Mexican drug cartels. And what local law firm is deeply intertwined with that bank? Public records show that it's Bradley Arant. 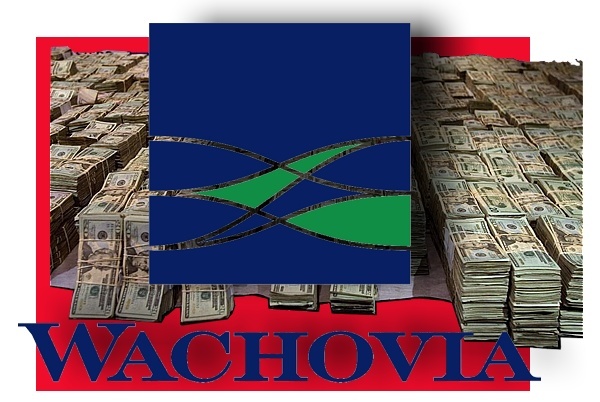 Officials for Wachovia Bank admitted in 2010 that they helped move $378.4 billion for Mexican drug cartels. Wachovia, which was purchased by Wells Fargo in 2008, paid $160 million in fines and penalties, and according to Bloomberg, that amount is less than 2 percent of the bank's $12.3 billion profit for 2009. Wachovia had roots in Charlotte, and Wells Fargo is based in San Francisco, so where is the Birmingham connection? Well, that goes back to SouthTrust Corporation, which once was known as one of our city's "Big Four" banking institutions. SouthTrust had $53 billion in assets and branches in nine states (Alabama, Florida, Georgia, Mississippi, North Carolina, South Carolina, Tennessee, Texas, and Virginia) when it merged with Wachovia in 2004. Wachovia was experiencing deep losses in the midst of the 2008 financial crisis when Wells Fargo plucked the bank off the scrap heap at a bargain-basement price of $12.8 billion. If you live in Birmingham, or any of the other locations once served by SouthTrust, you started to notice Wachovia signs being replaced by Wells Fargo signs in 2009, the year the transition launched. Throughout the SouthTrust/Wachovia/Wells Fargo mating dance--when Birmingham was hemorrhaging banking jobs--Bradley Arant had its dirty hands in the pie. And it looks like there was plenty of dirt go around. Public documents show that Bradley Arant has been entrenched for years in the SouthTrust/Wachovia/Wells Fargo troika, which we now know was built in part on a foundation of money laundering with some of the globe's most vicious criminals. Since 2006, more than 22,000 people have been killed in drug-related battles that have raged mostly along the 2,000-mile (3,200-kilometer) border that Mexico shares with the U.S. In the Mexican city of Ciudad Juarez, just across the border from El Paso, Texas, 700 people had been murdered this year as of mid- June. Six Juarez police officers were slaughtered by automatic weapons fire in a midday ambush in April. . . . Behind the carnage in Mexico is an industry that supplies hundreds of tons of cocaine, heroin, marijuana and methamphetamines to Americans. The cartels have built a network of dealers in 231 U.S. cities from coast to coast, taking in about $39 billion in sales annually, according to the Justice Department. . .
Those deals came before news broke about the SouthTrust/Wachovia/Wells Fargo ties to drug trafficking. Did Bradley Arant distance itself once that news hit the press? Heck, no. In a lawsuit styled Wells Fargo v. Enviromate LLC, we learn that Bradley Arant still is involved with one of the dirtiest banks on the planet. Bradley Arant lawyers Glenn Glover and Thomas Griffin filed the complaint on Wells Fargo's behalf in May 2011. James Hancock, a U.S. judge in the Northern District of Alabama, entered partial summary judgment in Wells Fargo's favor roughly two months ago. Individuals and entities with ties to Bradley Arant sure do tend to prevail in Alabama courts, don't they? Gee, I wonder why that is. Could it be that ties to massive amounts of Mexican drug money help buy lots of clout in Alabama's "justice system"? And isn't it interesting that Alabama citizens seem blissfully unaware that SouthTrust/Wachovia/Wells Fargo and Bradley Arant have connections to drug trafficking? Of course, there probably is a simple explanation for that. If you go to al.com and do a search for "Wachovia and drug cartels," it turns up nothing about the bank's ties to money laundering. It appears the story went unreported in Alabama, where the bank has a major presence and at least one-third of its roots are planted. The story will not go unreported at Legal Schnauzer. We've been examining the tentacles of SouthTrust and Bradley Arant to determine exactly where they lead in the Birmingham community. It turns out they reach into some very interesting places. Is Sloan Bashinsky Jr. Intentionally Trying to Muddy the Water on Reporting About His Brother's Death? When someone consistently misstates facts, I figure one of two things is happening: (1) He is careless about gathering and stating facts; (2) He is intentionally trying to muddy the water on some issue. I've read scores of lawyer-prepared documents over the past 12 years, so I am intimately acquainted with tactic No. 2. A lawyer spends three years of his life and tens of thousands of his dollars to receive formal education in tactic No. 2. In fact, I've come to realize that the presence of a law degree means that a person has an unusually high level of training in the art of deception--and it doesn't mean much else. It certainly does not mean the person has an enhanced interest in justice (snort). Sloan Y. Bashinsky Jr. has made it a habit to misstate facts about my reporting on the death of his younger brother, Alabama attorney Major Bashinsky. Writing on a variety of blogs from his base in Key West, Florida, the elder Bashinsky has repeatedly stated that he supports the official finding of suicide in his brother's death. He even has provided a motive that apparently has escaped officials--that Major feared he was about to be outed as bisexual and was so traumatized that he took his own life. This runs counter to my reporting, which has shown numerous reasons to doubt the suicide finding--and there is nothing wrong, of course, with Sloan Bashinsky taking issue with me. But in the process, he has consistently made misstatements about my reporting. I've written it off as falling under item No. 1; after all, Sloan is a guy who says he takes guidance from angels, his "board of directors," who speak to him in dreams. I figured that Sloan was too busy communicating with celestial beings to get a full grasp on earthly matters, such as my blog posts. But I'm starting to wonder if something else is going on. After all, Sloan Bashinsky has a legal education, practiced law for 12 years in Birmingham, and has written several books on legal issues. If he wanted to muddy the water on a certain topic, he probably would be pretty good at it. Why would Sloan want to obscure matters related to his brother's death? I don't know, but he resorted to deceptive tactics again in a post dated July 29, 2012, at his blog Good Morning Birmingham. These most recent false statements about my reporting are not new; he's made them a number of times. I haven't responded until now because, as noted above, I figured Sloan was distracted by conversations with angels--and that might account for his confusion. But on the chance that there is a purpose behind these "mistakes," I thought now might be a good time to clear the air. The person who was about to out Major had it in for him. Something very nasty had happened between them. It was very personal. And it was very real. Those four sentences hint that Sloan knows of a specific person who had a specific beef with Major. I don't see any other way to read them. He even says it all was "very real." How can that be, unless Sloan knows of a "very real" person acting in "very real" ways? * Stippling Vs. A Contact Wound--This has become "old reliable" for Sloan; he uses it in just about every post on Major's death. In so doing, he always misstates what I have written on the subject. I sent a comment down to Legal Schnauzer. Don’t know it (sic) Shuler will publish it. He declined to publish my reply to one of his previous articles, in which he invented that the gunshot wound to Major’s left temple was not a contact wound: muzzle presed (sic) against skin when the gun (pistol) was fired. Shuler wrote that the gun was fired from a foot or so way, contrary to the coroner’s finding that it was a contact wound. That, unfortunately, is not what I wrote on the post in question, which ran on July 20, 2011, and was titled "Suicide Finding in the Major Bashinsky Case Springs Major Leaks." What did I actually say about the possibility of a contact wound? I said the report from the medical examiner (ME) contradicts itself on the subject, making it impossible to know what really happened--and indicating that investigators were sloppy in their work. I explained that stippling, a pattern of abrasions around an entrance wound, is a key factor in determining range of fire. I cited a scientific article titled "Practical Pathology of Gunshot Wounds" and quoted its finding that "the presence of stippling indicates that the muzzle of the gun was within 2 feet of the victim’s body when it was discharged." I proceeded to quote from the ME's report on the wound in the Major Bashinsky case: "The gunshot wound does not have stippling." Those are the ME's words, not mine. The words in the article are a pathologist's, not mine. Taken together, they mean the shot that killed Major Bashinsky was fired from more than two feet. How does someone shoot himself in such a fashion? In the case summary of the Bashinsky autopsy, the report states "the decedent had a perforating contact gunshot wound of the head with resultant skull fractures and perforation of the brain as described." Contrary to Sloan's statements, I quote the ME saying it was a "contact gunshot wound." In fact, Sloan probably knows about this reference to a contact wound only because I reported it. The problem, of course, is that this statement conflicts with the finding about the absence of stippling, which would mean it was not a contact wound. Once and for all, let me be clear: I have never said that I know what kind of wound it was; obviously, I'm not trained in such matters. I've reported that the ME's report says in one place that it was a contact wound--while saying in another place that it was not. That is a fact. Did the author of the ME report know what he was doing? It doesn't look like it. Suzanne (Pilkerton) Bashinsky-Ash, age 57, died in mid June in Birmingham. She was Major Bashinsky's stepsister and the biological daughter of Joann Bashinsky, who was Sloan Bashinsky Sr.'s second wife and now is director of Golden Enterprises. . . . The only reporting on Suzanne Bashinsky-Ash's death has been a standard obituary, and we've seen nothing to indicate it was anything other than a natural death. But she was adopted by Sloan Bashinsky Sr., meaning two of his four children died between March and July of this year . . . I stated that I saw nothing to indicate Ms. Bashinsky-Ash's passing "was anything other than a natural death." I stated that two of Sloan Bashinsky Sr.'s four children had died within roughly four months of each other--one at age 63 and one at 57. That is a fact. How is that "something sinister"? Beats me. * The layout of the Highland Park Golf Course, where Major Bashinsky's body was found--Sloan has on a number of occasions cited the layout of the Highland Park Golf Course, and the adjoining neighborhood, to support his theory that it is an unlikely place for a murderer to dump a body. In fact, this might be the No. 1 reason Sloan has cited for his belief that Major walked into the pond and shot himself in the head, while tying himself up with rope and duct tape to make it look like murder. Sloan undercuts himself, however, because his "facts" about the golf course layout are way off base. He admitted as much when I confronted him on this issue in an e-mail exchange back in March. I remain convinced the crime scene was too improbable for murder site, or to dump a body in the middle of the hazard, after being hauled there from somewhere else and dragged from a vehicle over the low wall adjacent to the sidewalk, next to a busy road, across from a subdivision on a bluff. Then dragged up the incline, over a low chain link fence, across the cart path, into the hazard, and then pushed into the middle of it. I imagine the perp would have wanted to get caught, to choose that site for murder or body disposal. For what it's worth, your memories about the layout of the Highland Park Golf Course are off target. Anyone can pull a vehicle into the parking lot and then walk directly onto the hole that features the water hazard. I've done it myself. There is no wall or fence to cross, and it's maybe 250-300 yards from the lot to the water, downhill all the way. It would be extremely easy to put a body (or any number of other objects) into a cart and roll it on the paved path down to the water. The parking lot is open 24/7, so it would be no problem to accomplish this task after dark. This doesn't prove what happened, of course, one way or another. But I've read your comments before about this being an unlikely place to drop off a body because of the layout. In fact, it's a very convenient place to do such a thing. Couldn't be easier. What I described, Roger, was the short way to get to the pond, perhaps 20 yards from just below the pond on Highland Avenue. What you describe is the long way, from the parking lot area up the hill, above the first T. Either way you slice it, lousy choice of site to kill someone, or dump a body. The back side of Lake Purdy, off Grant's Mill Road, much better site, for example. Many much better sites, thousands probably, than the golf course pond. What I describe is the easy way, and it would be easy, any way you slice it. It's a perfect place to kill someone, or dump a body, if you want the body to be found--to send a message. Easiest way to get caught? Are you serious? Your vehicle is in a parking lot, off the street and out of the way. If you do it in the middle of the night, the chances of getting caught are almost nil. You admit, in your previous e-mail, that your scenario involves a vehicle parked "on a busy street." Yours is the scenario that would be hard to pull off and easy to get caught. Anyone familiar with that golf course would know not to do it that way. Did Sloan and Paul Ciolino ever wind up getting in touch with each other? I don't know. I sent an e-mail to Ciolino on April 2, asking if he and Sloan had been in touch. Ciolino had always responded to my e-mails, but he did not respond to that one, and I've heard nothing more about his interest in the Major Bashinsky case. As for Sloan Bashinsky, his motives remain unknown to me. I have no prior experience in communicating with someone who talks to angels, so figuring out Sloan might be beyond my grasp. I do get the impression that he would like to tie a nice bow on his brother's death and store it in a closet where no one will raise questions about it again. I also get the impression that he very much wants to discredit me, no matter how many misguided statements he has to make in the process. That leaves me with this question: Why? * "I had no proof Major was bisexual. He knew I had no proof . . . "
* "I don’t know where Shuler got it that I hinted in the last post I wrote about Major, or in any prior posts to my websites, that I knew who was going to out Major. I don’t know who it was." So there you have it: Sloan Bashinsky Jr. has no proof that his brother was bisexual and he doesn't know of any person who had reason to out Major for having a secret gay life. It seems that Sloan's theory about Major killing himself rests on . . . well, not much of anything. Unless, of course, angels told him that's what happened. Now, that would be bizarre. A federal judge in Alabama released an opinion this week that adds to the mountain of evidence showing defendants in the Don Siegelman case were unlawfully convicted, based on murky law and improper jury instructions. For one, Thompson's opinion shows that the U.S. Supreme Court and Eleventh Circuit Court of Appeals have failed miserably in their duty to ensure that the law is applied consistently. Two, it shows that Siegelman and codefendant Richard Scrushy were convicted of phantom "crimes." Three, it proposes a jury instruction that should clarify the law for judges, prosecutors, defendants, and the public. Meanwhile, lives are being ruined because of incompetence in the federal judiciary regarding public-corruption cases--and Thompson's opinion comes at a critical time. Siegelman is set to be resentenced in Montgomery on August 3. With clearly compromised trial judge and Bush appointee Mark Fuller still at the controls, the former Democratic governor almost certainly is headed back to prison. Scrushy, meanwhile, has completed his sentence and was released from federal custody this week. Those two events provide bookends to Thompson's opinion, which helps prove that Siegelman and Scrushy never should have been convicted, under the law. In fact, public records show that the federal bingo trial resulted in no convictions mainly because Thompson presented clear, detailed jury instructions that dovetail with actual law. It's not, of course, that public officials accused of bribery, extortion, and the like always should go free. But the standards for convictions in the context of campaign contributions, Thompson writes, must be strict so as not to conflict with First Amendment guarantees. Courts, however, have repeatedly used poorly defined terms that make it impossible for public officials, campaign donors, and the public to understand the line between lawful conduct and a federal crime. Therefore, the solicitation or acceptance by an elected official of a campaign contribution does not, in itself, constitute a federal crime, even though the donor has business pending before the official, and even if the contribution is made shortly before or after the official acts favorably to the donor. However, when there is a quid pro quo agreement, orally or in writing, that is, a mutual understanding, between the donor and the elected official that a campaign contribution is conditioned on the performance of a specific official action, it constitutes a bribe under federal law. By this phrase, I mean that a generalized expectation of some future favorable action is not sufficient for a quid pro quo agreement; rather, the agreement must be one that the campaign contribution will be given in exchange for the official agreeing to take or forgo some specific action in order for the agreement to be criminal. A close-in-time relationship between the donation and the act is not enough to establish an illegal agreement. Thompson goes on to note that three kinds of quid pro quo are possible--an "agreement," a "promise," and a "solicitation." The first is a two-sided "this for that" arrangement, while the other two are one-sided. All three can be criminal under certain circumstances, and Thompson dives into the specifics. But for purposes of the Siegelman case, the focus is on a "quid pro quo agreement." Prosecutors did not allege a one-sided promise or solicitation by either party. Rather, they alleged that Siegelman and Scrushy came to a two-sided agreement. So the language highlighted in the passage above, which Thompson essentially pulled from the controlling McCormick v. United States, 500 U.S. 257 (1991), should have been at the heart of the jury instruction in Siegelman. But as we have shown in a series of posts, that was not the case; Fuller's jury instruction did not require an explicit agreement as outlined in McCormick, much less one that had to be stated orally or in writing. Fuller let the jury believe that an agreement could be implied or inferred. The Eleventh Circuit inexplicably allowed the unlawful jury instruction to stand--and the U.S. Supreme Court refused to review the matter. Appellate courts simply have not done their jobs on the Siegelman case, causing a massive misuse of public funds that should draw Congressional review. Consider the Eleventh Circuit: Its own rules (Rule 35, Federal Rules of Civil Procedure) state that the purpose of en banc review is "to secure or maintain uniformity of the court's decisions" or to address panel decisions that are in "direct conflict with precedent of the Supreme Court or of this circuit." The three-judge panel's ruling in Siegelman clearly conflicts with McCormick, it conflicts with the circuit's own findings in U.S. v. Davis, 30 F.3d 108 (11th Cir. 1994), and it destroys any semblance of uniformity on the pertinent law. But the full Eleventh Circuit declined review. It is often true that “unexamined assumptions have a way of becoming, by force of usage, unsound law." McCormick, 500 U.S. at 280 (Scalia, J., concurring). In the public-corruption context, courts have been particularly lax in the use of certain words–-explicit, express, agreement, promise, and quid pro quo-–that should have clear legal meanings. Imprecise diction has caused considerable confusion over the scope of federal corruption laws as applied to campaign contributions. Uncertainty in this area of law breeds corruption and chills legitimate political speech. It also has enormous human costs by sending individuals to prison for "crimes" that do not exist. That already has happened in the Siegelman case. And one week from today, the injustice in Montgomery, Alabama, is likely to become even more monstrous when Don Siegelman is sent back to prison. Perhaps the most important message from Judge Thompson comes in the highlighted sentence from the above segment. What does Thompson mean when he says "uncertainty in this area of the law breeds corruption"? He could be referring to corruption by politicians and donors, but that does not make sense. After all, Thompson seems to admit that most targets of prosecutions involving campaign contributions do not understand the law--and aren't even aware they are breaking a law. That surely breeds confusion, but how does it breed corruption? It's hard to imagine someone saying, "I don't have any idea what the law is, so I think I will go out and break it." Perhaps Thompson is referring to corruption among federal judges and prosecutors. Perhaps he is pointing a subtle finger at his colleagues in the federal "justice" system. With so much uncertainty in the law, prosecutors are free to go after certain individuals for political and unlawful reasons. With no standard for jury instructions, judges can create "statutes" on the bench--ensuring that certain defendants are convicted, whether they violated the actual law or not. I think Thompson knows this is precisely what happened on the Siegelman case. He surely knows an innocent man was just released from six years in federal custody--and another innocent man probably is headed back to prison on August 3. Unlike a number of federal judges that I've encountered, Myron Thompson seems to have a conscience. And I'm guessing it would not allow him to stay silent. Major Bashinsky's older brother strongly hints in a recent blog post that he knows who caused the Alabama lawyer's death in March 2010. Sloan Y. Bashinsky Jr. has written several blogs from his base in Key West, Florida, and has consistently stated that he supports the official finding of suicide in his brother's death. Here at Legal Schnauzer, meanwhile, we have written a series of posts showing numerous reasons to doubt the medical examiner's findings. 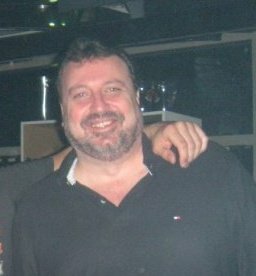 Major Bashinsky, according to his brother, was bisexual and killed himself--trying to make it look like murder--because he was convinced someone was about to out him as having a secret gay life. Sloan Bashinsky has used his blogs to share different versions of this theory almost from the moment Major's body was discovered in a water hazard at Birmingham's Highland Park Golf Course on March 15, 2010. But Sloan Bashinsky recently took it a step further on his blog Good Morning Birmingham. In a post with a lengthy, grammatically challenged title--"theravenspeaks wanders into the deep end, accusing me of causing my younger brother Major to kill himself"--Bashinsky hints that he knows the identity of the person who drove Major to suicide. That points to a possible crime and again raises a question that we addressed in a recent post: Has Sloan Bashinsky reported this information to authorities? And if not, why not? For the purposes of this post, we will assume that Sloan Bashinsky is right, and I am wrong about the manner of death in the Major Bashinsky case; we will assume that Major Bashinsky killed himself. Under either scenario, however, it appears a crime was involved. The death clearly was not an accident, and my reporting raises questions about the suicide finding, so that brings murder into the equation. Sloan Bashinsky discounts murder, but he points to other possible crimes--especially extortion or, at the least, harassing communications. What prompted Sloan's recent revealing post? He received an e-mail from a reader who calls himself "theravenspeaks." 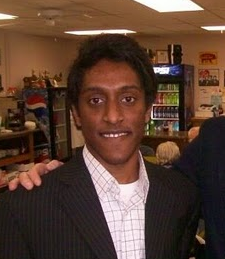 This gentleman, in eloquent but firm language, accused Sloan of threatening to out Major and causing his suicide. When Major’s body was found, my father’s widow hired a body guard round the clock. My sister and Major’s wife and older children also probably wondered if they were next to be killed, if the anonymous letter writer’s demands were not met. It was a blessing the coroner and local police department ruled it suicide made to look like murder. They made that ruling about two weeks after I started posting it was suicide made to look like murder. I caught hell for doing that. I caught hell for explaining even before the coroner and local pd came out with their suicide finding, that Major had done himself in because someone was going to out him for being bisexual, who could prove it, and there was nothing Major could do to stop it, and since his image was the most important thing to him, which everyone who knew him well, knew, he contrived his exit to look like murder. This is a fascinating piece of writing. We learn how a wealthy family reacts--or at least how one wealthy family reacts--when a member dies under suspicious circumstances. We learn that the first instinct of certain family members was to think that Major had been murdered, and that they were in danger, too; they apparently saw no signs that he was a threat to kill himself. We learn that the family apparently had no confidence in the ability of law enforcement to protect them. Also, this scenario hints that the family felt under siege for some reason, that it was involved in controversy and had attracted the kind of enemies that might resort to lethal tactics. I had no proof Major was bisexual. He knew I had no proof, and he knew I knew. He knew his first wife knew, and she had no proof. We were no threat to him. But the person who was going to out him was a very serious threat. Major was the toughest, meanest person I had known. No way he buckled to worrying what his brother and first wife knew, and to what others knew, for we were not the only straight people in Birmingham who knew. Consider the first segment in bold above: Sloan tells us that Major had an enemy with a nasty disposition, someone who was a "very serious threat" to him. Now, let's consider the second segment in bold. Sloan knows why this person "had it in" for Major. Sloan knows of a specific event--something "very nasty" and "very personal" had happened between them. In his own words, Sloan Bashinsky seems to be saying that he knows who pushed his brother to commit suicide--and why. Sloan has a law degree, so he has to know this involves possible criminal behavior--that it at least merits a thorough investigation. If there was communication between Major and his antagonist that involved the U.S. mails or wires, that probably would make it a federal matter. Even if criminal issues were not involved, Sloan's words suggest that someone has civil liability in the death of Major Bashinsky. Major had two children in their 20s or so from his first marriage, and he had two young children with Leslie Hewett Bashinsky, his second wife and widow. Major's children and his wife have been deprived of his presence and support, and they would stand to have powerful claims in a wrongful-death action. Has Sloan Bashinsky spoken with law-enforcement authorities? At the very least, has he used his knowledge--both legal and factual--to help Major's heirs seek justice against someone who intervened in their lives with tragic consequences? Is there a client that is too sleazy for Bradley Arant to represent? The law firm is the largest in Alabama and one of the largest in the South--with major offices in Birmingham, Nashville, and Charlotte. And the answer to our question appears to be, "No, no client is too disreputable for Bradley Arant to take on." We already know about Ted Rollins, the CEO of Charlotte-based Campus Crest Communities. It's a matter of public record that Rollins was convicted for the 1995 beating of his stepson in Franklin County, North Carolina. The assault was so severe that the 16-year-old boy was taken via ambulance to an emergency room and administered oxygen, apparently because blood loss put him at risk for going into shock. It's also a matter of public record that numerous individuals in law enforcement and health care violated North Carolina law by failing to report the incident as a case of child abuse. In blunt terms, Ted Rollins is a child abuser. But Bradley Arant is happy to represent him, apparently because he belongs to one of the nation's wealthiest families, the folks behind Orkin Pest Control and other highly profitable enterprises. In fact, public documents strongly suggest that Bradley Arant used its clout to help Ted Rollins receive an unlawful divorce judgment in Alabama, one that was so lopsided and disconnected from fact and law that it left his ex wife and two daughters on food stamps in Birmingham. HSBC Holdings Plc’s head of group compliance, David Bagley, told a Senate hearing he will step down amid claims the bank gave terrorists, drug cartels and criminals access to the U.S. financial system by failing to guard against money laundering. Bagley was among at least six HSBC executives who testified before the Senate’s Permanent Subcommittee on Investigations today after the panel released a 335-page report describing a decade of compliance failures by Europe’s biggest bank. 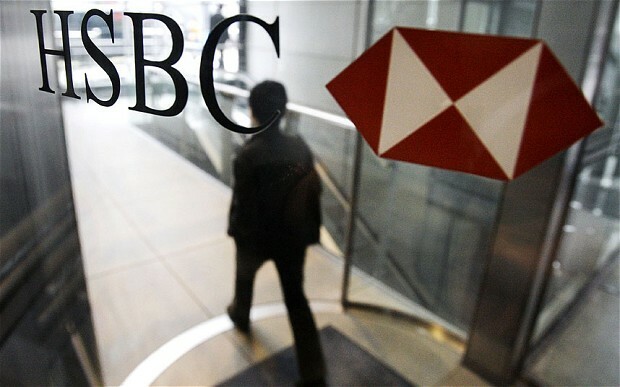 London- based HSBC enabled drug lords to launder money in Mexico, did business with firms linked to terrorism and concealed transactions that bypassed U.S. sanctions against Iran, Senate investigators said in the report. How nasty is HSBC? Among its rogues' gallery of slippery customers are the Taliban and Al Rahji, a Saudi Arabian bank whose owners are linked to organizations that finance terror. Translation: HSBC does business with the fine folks who brought you the 9/11 terrorist attacks on New York City and Washington, D.C.
For good measure, HSBC also has ties to major cases of offshore tax evasion. Would you want to be connected to an outfit like that? Bradley Arant apparently has no problem with it. George R. Parker, one of the firm's Montgomery attorneys, represented various HSBC entities in a 2008 federal lawsuit styled George D. McCarley v. KPMG International, et al. The case involved allegations of fraud connected to a home foreclosure, and considering that it started in the Middle District of Alabama and was appealed to the U.S. Eleventh Circuit in Atlanta, it should be no surprise that the corporate defendants prevailed. Andrew J. Noble III and John David Owen, of Bradley Arant's Birmingham office, represented an HSBC entity in a 2011 state lawsuit styled Moore v. HSBC Mortgage Services. The complaint involved allegations of breach of contract and other wrongdoing related to construction of a new house. Once again, the corporate defendant prevailed--with Bradley Arant's assistance. Thanks to recent revelations, we now know that the corporate defendant's parent company, HSBC, does business with terrorists, drug cartels, and other criminals. We also know that doesn't seem to bother Bradley Arant in the least. Long before Mike McGarity moved next door and became a monumental headache for Mrs. Schnauzer and me, he was causing problems for other people. That's how my "Neighbor From Hell" came to be the proud owner of a substantial criminal record. One of McGarity's more interesting arrests and convictions was for what the Birmingham City Code calls an "affray." That's just a fancy term for fighting. How does an affray differ from an assault? An assault usually involves just two people, and it's clear that one person is the aggressor and the other is a victim. With an affray, two or more people are flailing away, and it's hard to tell who started it--and who did what to whom. 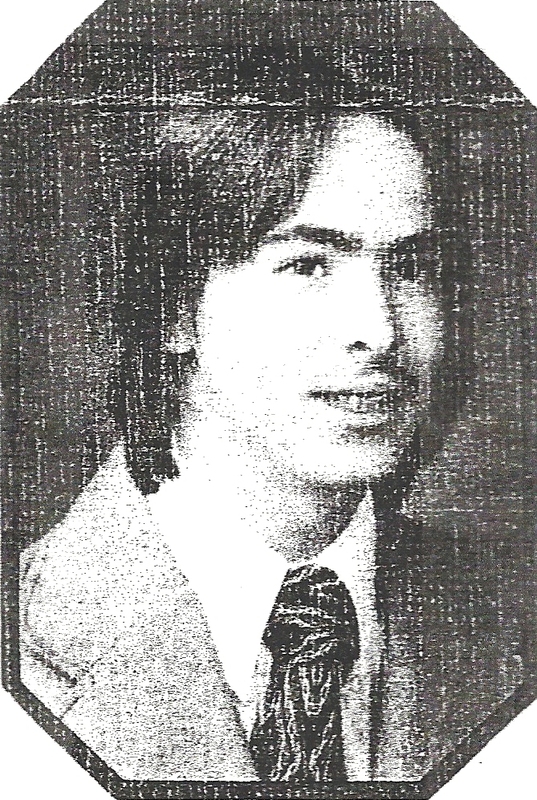 McGarity was convicted for an affray that took place on July 2, 1977. The event perhaps is most notable for its location--outside of a gay nightclub. (b) On the trial of any person for engaging in an affray, he may give in evidence any opprobrious word or abusive language used by the other participant or participants in such affray at or near the time of the affray and that evidence shall be in extenuation or justification as the municipal judge may determine. 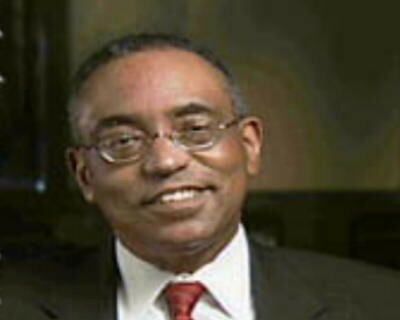 Since McGarity was convicted of affray in Birmingham Municipal Court on July 25, 1977, it appears he played some role in the use of abusive language that started the affray. That certainly comes as no surprise to Mrs. Schnauzer and me. McGarity was arrested in the 100 block of 21st Street North (now Richard Arrington Jr. Boulevard). If you are familiar with downtown Birmingham, you know that area as the long-time home to John's Restaurant (now known as John's City Diner). Officers observed def. and two other white males fighting in front of Focus Phase II. If you are an expert on the history of Birmingham's social scene, you know that Focus Phase II was one of several names for a nightclub that was famed in the late '70s and early 80s for featuring female impersonators. It was more than just a gay bar; it might have been the city's first widely known gay nightclub. Show time at the After Dark is many things to many people. To the entertainers, it's a chance to show off flashy clothes, fancy routines, shapely bodies and pretty, pretty faces. . . . To others, it's an opportunity to watch men do something most males would do only as a joke--or at gunpoint. It's a chance to see men perform onstage as women. They are "female impersonators. . . . "
The After Dark, 117 1/2 21st St. North, has featured female impersonators since it opened two years ago. Before then, the club was known as Focus Phase II; it, too, featured female impersonators. (3) He was walking down the street when a fight just happened to break out in front of Focus Phase II, having nothing to do with activities at the club. Given what I know of McGarity's personality, item No. 2 would be my first choice. We know that William Cody McGarity, one of Mike's three older brothers, died of AIDS in 1996, which is an indicator that he was gay. Did something involving his brother draw Mike McGarity to Focus Phase II? We don't know. Roger Shuler (RS): I can show a copy of this. I've got--it says "Arrest Report, officers observed Defendant and two other white males fighting in front of Focus Phase II." What's that? Mike McGarity (MM): I have no idea. RS: Is it a nightclub? RS: Is it a gay nightclub? RS: How did you get in a fight with somebody at a gay nightclub? MM: Not in front of a gay nightclub. RS: Focus Phase II, I think, used to be a place on 20th Street across from John's, cross-dressers and so forth. I mean, were you picking on people there or what? Bill Swatek (BS): You seem to know a lot about it. Were you there? RS: Nope, didn't need to be there. I can't help but chuckle at Swatek's comment. That's the kind of brilliant lawyering you get, I guess, if you pay this guy $300 an hour (or more?) to represent you. More importantly, we see that McGarity denies he was fighting in front of Focus Phase II, even though he had just been handed an arrest report that says it was him--and court records show he was convicted. Does the phrase "under oath" mean anything to this guy? RS: Well, as you can see, it shows you were observed fighting outside of Focus Phase II. I mean, what were you doing? MM: I don't know. I used to work downtown. I could have just got off work. I don't know. RS: How did you get in a fight, I mean, did somebody pick a fight with you? RS: It says there were two other people, who were the two other people? RS: Did somebody get hurt? Were you hurt? MM: No, I wasn't hurt. At this point in the deposition, it seems there was a fight in front of a gay nightclub, Mike McGarity was involved, but he wasn't hurt. His story keeps changing. We do know that Mike McGarity is a very difficult guy to deal with--and he has the criminal record to prove it. We also know it's odd that a guy with such a record would wind up getting hired in the mid 1980s at Blue Cross and Blue Shield of Alabama, one of our state's most reputable employers and a company that (because it is a federal Medicare contractor) is known for conducting stringent background checks on prospective employees. How did a guy like McGarity slip through the cracks at Blue Cross and Blue Shield of Alabama? Does the company make a habit of hiring people who have been convicted for getting into fights, soliciting prostitutes, and all the other colorful activities in McGarity's background? Perhaps those are questions for Koko Mackin, the company's vice president for corporate communications and community relations. Mike McGarity has a history of being involved in community disturbances. Makes you wonder what Blue Cross and Blue Shield saw in the guy. 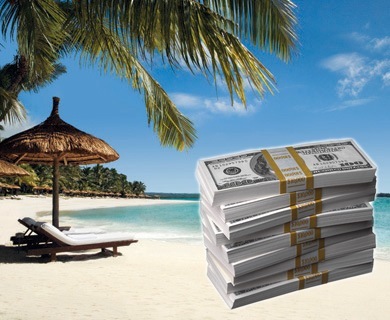 Ultra-rich individuals around the globe are exploiting tax havens to hide an estimated $21 trillion offshore, according to a new study by the Tax Justice Network. The so-called "black money" is equal to the combined GDPs of the United States and Japan, and the scope of tax dodging is revealed in a report titled "The Price of Offshore Revisited." [Henry] shows that at least £13tn – perhaps up to £20tn – has leaked out of scores of countries into secretive jurisdictions such as Switzerland and the Cayman Islands with the help of private banks, which vie to attract the assets of so-called high net-worth individuals. Their wealth is, as Henry puts it, "protected by a highly paid, industrious bevy of professional enablers in the private banking, legal, accounting and investment industries taking advantage of the increasingly borderless, frictionless global economy." According to Henry's research, the top 10 private banks, which include UBS and Credit Suisse in Switzerland, as well as the US investment bank Goldman Sachs, managed more than £4tn in 2010, a sharp rise from £1.5tn five years earlier. The study hits close to home here at Legal Schnauzer in both a macro and micro way. From a large-scale perspective, we have a major-party candidate for the U.S. presidency, Mitt Romney, who reportedly has made ample use of offshore accounts. From a small-scale perspective, we have the story of American CEO Ted Rollins, the head of Charlotte-based Campus Crest Communities and a member of the family behind Orkin Pest Control, one of the wealthiest clans in the country. Have Ted Rollins and his billionaire cousins--Randall and Gary Rollins of Atlanta-based Rollins Inc.--made use of offshore tax havens? The answer to that question is not clear. But we know that India has become a popular destination for offshore funds. And a source tells us that Ted Rollins made a two-week visit to India in fall 2010, about the time Campus Crest Communities completed a $380-million IPO on Wall Street. Vivek "Vick" Seth, managing director at Raymond James, put together the Campus Crest IPO. And our source says Seth has extensive ties to the banking community in India. Our source also says that Ted Rollins has been known to brag that his company has paid little or no taxes in recent years. The sheer size of the cash pile sitting out of reach of tax authorities is so great that it suggests standard measures of inequality radically underestimate the true gap between rich and poor. According to Henry's calculations, £6.3tn of assets is owned by only 92,000 people, or 0.001% of the world's population – a tiny class of the mega-rich who have more in common with each other than those at the bottom of the income scale in their own societies. "These estimates reveal a staggering failure: inequality is much, much worse than official statistics show, but politicians are still relying on trickle-down to transfer wealth to poorer people," said John Christensen of the Tax Justice Network. "People on the street have no illusions about how unfair the situation has become." Here is a report from Russia Today, including an interview with James Henry, author of the tax-haven study. He says leaders of the offshore economy are some of the same large banks that received billions in bailout money from the federal government. Now, Henry says, our democracy must come to grips with what he calls the "pirate banking industry." How is this for "legal ethics"? Birmingham attorney Allan L. Armstrong threatened to kill a man in 2008 after cheating with the man's wife, apparently prompting a divorce action. The threat led to a motion for a restraining order against Armstrong, which a Jefferson County circuit judge granted. Has the Alabama State Bar taken action against one of its members, an "officer of the court," for such thuggish actions? Our investigation on the matter is not complete, but we've seen no signs that the bar has taken any action against Armstrong. This is the same bar that suspended Angela Turner Drees for one year, essentially because she told the truth in an official proceeding about the actions of another lawyer. Let's see if we have this straight: Allan Armstrong threatens to kill a man, and the Alabama State Bar apparently does nothing; Angela Turner Drees tells the truth in an official proceeding and has her license suspended for one year. Is this how the Alabama Rules of Professional Conduct were meant to be applied in the real world? Is Armstrong immune from discipline because his brother is U.S. Magistrate Robert R. Armstrong, of the Northern District of Alabama? Does the Alabama State Bar engage in flagrant favoritism? Does the bar expect the public to take it seriously when it conducts business in such a loony fashion? If nothing else, Armstrong should be disciplined for personal stupidity and professional hypocrisy. He did not just catch Johnny J. "Jeff" Scruggs III in a heated moment and threaten to kill him; he left the death threat on Scruggs' telephone answering machine, providing indisputable evidence of what had transpired. According to an offense report with the Vestavia Hills Police Department, Scruggs at the time was 6-5, 250 pounds. (The offense report can be viewed at the end of this post.) I've seen Allan Armstrong, in the same general time frame, and he is significantly smaller than that. If you are going to cheat with a man's wife and then threaten to kill him, you might want to pick on someone who is smaller than Mr. Scruggs. If Armstrong were going to carry out his threat against Scruggs, he probably would need some serious weaponry. Speaking of which, Armstrong has a history of illegally carrying weapons, while driving like a mad man. As we noted in a previous post, Armstrong twice has been arrested for DUI and driving left of the center lane. In both instances, Armstrong also was charged with carrying a concealed weapon. As for hypocrisy, Armstrong joined his legal compadre Darrell Cartwright in filing a lawsuit against former University of Alabama football star Rolando McClain. Armstrong and Cartwright represented a former UA student named Matthew Mangham who alleged that McClain struck him with a vehicle and then assaulted him. McClain, who now plays for the NFL's Oakland Raiders, recently settled the lawsuit, with both sides declining to say if he paid Mangham as part of the agreement. Upon information and belief, Defendant McClain has a history of aggressive and violent behavior, including previous assaults and other criminal activity. McClain might have his problems, and he recently was convicted for assault and other charges connected to an incident in Decatur last year, but he sounds like a relatively charming guy compared to Armstrong. In McClain's defense, he's in a profession where people are paid to act in a violent and disruptive fashion. Armstrong is in a profession that is supposed to be about truth, honor, and the administration of justice. So how is it that the Alabama State Bar seemingly has allowed Allan Armstrong to repeatedly get away with thuggish behavior? How does Allan Armstrong, an officer of the court, behave in the real world? A Jefferson County divorce action styled Johnny Jefferson Scruggs III v. Michelle Ann Scruggs provides considerable insight. We will be looking at that case in upcoming posts. Campus Crest Communities, whose CEO was the beneficiary of a grossly unlawful divorce judgment in Alabama, draws major financial support from a bank at the center of an international rate-fixing scandal. Barclays, the London-based bank at the heart of the evolving LIBOR scandal, is a primary backer of Campus Crest Communities. In fact, Barclays joined with Raymond James and Citigroup as underwriters for a $62.7 million public offering that Campus Crest launched in late June. The public offering was announced on the same day that Barclays agreed to pay $453 million to settle allegations that it manipulated a key interest rate known as the London Interbank Offered Rate (LIBOR). Several top executives, including CEO Bob Diamond, have stepped down. Barclays, however, hardly is out of the woods. Robert Reich, a former U.S. labor secretary in the Clinton administration, has called LIBOR the "Wall Street Scandal of All Scandals" and hinted that criminal penalties could be coming. That can't be good news for Ted Rollins, CEO of Campus Crest Communities. His company completed a $380-million Wall Street IPO in 2010 and has built and managed student housing at 33 universities around the country. It has a $26.3-million project planned for Auburn University. The Auburn project is one of several ties that Rollins has to Alabama--most of them of a dubious nature. Rollins was convicted in 1995 for the assault of his 16-year-old stepson. The assault took place in Franklin County, North Carolina, and under the laws of that state, should have been reported to social services as a case of child abuse. Zac Parrish, the stepson, is now 33 years old and manages a construction company in Birmingham. Zac Parrish's mother, Sherry Carroll Rollins, was married to Ted Rollins for almost 15 years. She filed for divorce in Greenville, South Carolina, where the family lived, and the case was litigated there for more than three years. But she and the couple's two daughters, Sarah and Emma Rollins, were forced out of their home when Ted Rollins failed to pay the mortgage as ordered by a court--and they fled to Alabama, where Ms. Rollins had relatives. Ted Rollins, contrary to clear law, somehow managed to get the divorce case moved to Shelby County, Alabama, where he wound up with a judgment that was so one-sided that it has left his daughters and ex wife on food stamps. How did Ted Rollins pull that off? Well, it probably helped that his primary corporate law firm is Birmingham-based Bradley Arant, the largest and perhaps most powerful "pro corporate" firm in Alabama. The CEO of Campus Crest Communities is no stranger to scandal. And now it looks like one of his strongest financial backers is immersed in ugliness of epic proportions. The furor is over revelations that Barclays, the Royal Bank of Scotland, and other banks were monkeying with at least $10 trillion in loans (The Wall Street Journal is calculating that that LIBOR affects $800 trillion worth of contracts). The banks gamed LIBOR for two semi-overlapping reasons. As noted here last week, there were instances of Barclays traders badgering the LIBOR submitters to "push down" rates in order to fatten their immediate bottom lines, depending on what they were trading or holding that day. They also apparently rigged LIBOR downward in order to produce a general appearance of better health, essentially tweaking their credit scores a few ticks upward. What may still seem to many to be a parochial affair involving Barclays, a 300-year-old British bank, rigging an obscure number, is beginning to assume global significance. The number that the traders were toying with determines the prices that people and corporations around the world pay for loans or receive for their savings. It is used as a benchmark to set payments on about $800 trillion-worth of financial instruments, ranging from complex interest-rate derivatives to simple mortgages. The number determines the global flow of billions of dollars each year. Yet it turns out to have been flawed. . . .
As many as 20 big banks have been named in various investigations or lawsuits alleging that LIBOR was rigged. The scandal also corrodes further what little remains of public trust in banks and those who run them. Regulators around the world have woken up, however belatedly, to the possibility that these vital markets may have been rigged by a large number of banks. The list of institutions that have said they are either co-operating with investigations or being questioned includes many of the world’s biggest banks. 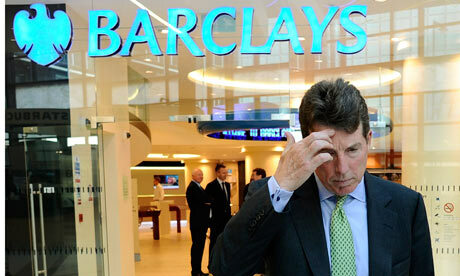 Among those that have disclosed their involvement are Citigroup, Deutsche Bank, HSBC, JPMorgan Chase, RBS and UBS. What does all of this mean for companies who depend on these banks for financing? The answer is not clear, but perhaps that question has crossed Ted Rollins' mind. Public documents show that notable holders of Campus Crest Communities stock include UBS, Deutsche Bank, and Goldman Sachs. Among its prime financial underwriters are Barclays, Citigroup, and RBC Capital Markets. Published reports indicate that some, maybe all, of those entities will become ensnared in the LIBOR scandal. The traders wanted to influence the rates in order to profit on positions they had taken in particular trades and to benefit Barclays’ derivatives portfolio as a whole. Emails and other records show that this occurred frequently from 2005 to 2007 and occasionally until 2009. It’s not clear when, and by how much, the traders’ requests actually affected the rates, though the U.S. Justice Department says they sometimes did. Could investigations show that ill-gotten funds wound up supporting up-start firms such as Campus Crest Communities? Are some companies built on a foundation of the LIBOR scandal? Is Campus Crest one of them? Time, perhaps, will tell. Bradley Arant apparently was able to get Ted Rollins out of a jam on his divorce case. Some far bigger jams than that might be waiting around the bend. Karl Rove and Karen Johnson: The Political Marriage That Ali Akbar Built? Karl Rove and Karen Johnson don't seem like the kind of couple that would have a quickie wedding. Published reports indicate they have known each other for roughly 15 years. A source tells Legal Schnauzer that they were carrying on an affair while Rove's second wife, the former Darby Hickson of Alabama, was battling cancer. So why did they reportedly get married in a rush, under circumstances that remain hush hush? Well, leave it to Karl Rove to turn the "sanctity of marriage" into a political calculation. And that's exactly what the Rove-Johnson marriage appears to be. Why did Rove need political cover at the moment? Well, for one, it's a presidential election year, and Rove is courting casino moguls Steve Wynn and Sheldon Adelson in an effort to buy the White House for Mitt Romney. But the No. 1 reason might have originated here at Legal Schnauzer. We reported on June 27 that Rove had been conducting a gay affair with Ali A. Akbar, the president of the right-wing National Bloggers Club. Our information came from a letter that Alabama attorney and former GOP operative Jill Simpson wrote to Bob Bauer, counsel for the Obama re-election campaign. Rove had appeared on Greta Van Susteren's Fox News program to level a series of bizarre charges at Simpson, Bauer, and others. Simpson responded with a letter to Bauer, informing him that she thought Rove's rant was driven by fears that he was about to be outed for his affair with Ali Akbar. What's a political guru to do when pesky reports about his gay affair with a party operative won't go away--especially when the guru has built his career to a certain extent on anti-gay rhetoric? Well, he gets married for the third time--and he does it in a big hurry. Rove and Johnson got married in such a hurry that we've seen no hard proof a wedding even took place. What date was the wedding? Where was it held? Who officiated? We've seen no answers to any of those questions. We've scoured the Austin American-Statesman Web site--that could be considered the happy couple's hometown newspaper--and found no mention of a Rove-Johnson wedding. Wouldn't that be big news in Austin? Karl Rove has earned himself some gossip payback. President Bush's deputy chief of staff and foremost fishwife is fending off whispers about his friendship with lobbyist Karen Johnson. Rove, who stands accused of using leaks and slurs against Sen. John McCain, terrorism adviser Richard Clarke and CIA agent Valerie Plame, was mum yesterday when we called about Johnson, a never-married, fortysomething GOP loyalist from Austin, Tex. The two are said to have gotten acquainted when Johnson sat on the board of then-Gov. George W. Bush's Business Council. "Their friendship reportedly deepened after Bush appointed Johnson--a little-known spokesperson for the Texas Good Roads Association-- to a seat on his Transportation Department transition team in 2000," Radaronline.com reports. "The plum appointment enabled Johnson's lobbying firm, Infrastructure Solutions, to snare such high-paying clients as Aetna and the City of Laredo. Notice that Johnson apparently received major financial benefits from her, ahem, relationship with Rove. If a quid pro quo agreement was present--and we all have learned that term from the Don Siegelman prosecution, which Rove reportedly helped orchestrate--both Johnson and Rove could have violated federal bribery statutes. For that matter, Dubya's appointment of Johnson to a state board sounds an awful lot like the appointment that the Bush Justice Department determined was criminal in the Siegelman case. Was there a quid pro quo in Bush's appointment of the "little known" Johnson to a state board--and was Karl Rove involved in the equation? If so, why aren't all three of them facing federal prison terms? Last Sunday, in a blistering column in the New York Times, Frank Rich charged that around the time the White House was leaking Plame's undercover CIA status to friendly reporters, Rove’s office was publicly “outing” Jeffrey Kofman after the gay ABC correspondent reported on the flagging morale of American troops in Iraq. Rich angrily charged the Republican rumor-monger with fostering a “pervasive culture of revenge” in Washington. Now, in the same spirit, Rove’s critics are forcing the married pol to fend off a politically motivated campaign that focuses on his own personal life. Radar proceeded to break the story about the apparent Rove-Johnson affair. In a followup piece, titled "Rove and a Hard Place," Radar reported that Johnson had grown tired of her dalliance with Rove. In fact, she wound up falling for a guy named Rhett Hard--that name is for real, folks; we aren't making it up--who served as a foreman on her Texas ranch. We can only guess that all the goodies she received via Rove--in the form of government contracts and such--helped pay for the ranch. In July we reported on the very close relationship Johnson, a single, Austin-based lobbyist, has enjoyed with Rove since they met over a decade ago in Texas. But now that Rove's White House tenure is looking increasingly shaky, friends are whispering that the forty-something lobbyist--who pulls in well over $1 million a year thanks to her administration connections--may be cooling toward the married presidential advisor. "Everyone knows how close Karen is to Karl, but she's sick of it," says a person familiar with the situation. Johnson's disapproving family has long urged her to settle down with the improbably named Rhett Hard, a handsome ranch foreman whom Johnson has dated sporadically over the last few years. "Karen's dream has always been to own a cattle ranch, and two years ago she bought Cinco de Mayo [the name of her Austin property] and hired Rhett to manage the place. They even joined the Cattleman's Texas Longhorn Registry together." But while the movie-star handsome Hard shares Johnson's affection for the president (he contributed $2,000 to Bush's reelection campaign in 2004), one Austin social observer doubts that their relationship is going anywhere. "If Rhett hasn't married her by now, he never will," says the source. "Karen has never been married. She's what I call a serial dater." Hard could not be reached for comment and Johnson did not return repeated calls. Johnson and Hard wound up getting married in May 2006, but alas, the marriage did not last. That's how Johnson came to be available when King Karl needed someone to fill a breach that his relationship with Ali Akbar helped create. Will a quickie marriage prove to be the solution to the Ali Akbar problem that threatens the reign of "Bush's brain"? How will the "pro family," "pro American," and "pro white" GOP factions react when they learn about Rove's extracurricular activities with a young black man who has a Muslim-sounding name? We will have to wait for the answers to those questions. But our guess is that the Ali Akbar story will not go away so easily. The source of the story has a history of being right on target about ugliness connected to the postmodern Republican Party. The source is right on target again--and Karl Rove clearly knows it. That's why he turned, in a desperate moment, to Karen Johnson. The largest bank in the United States, and perhaps the sleaziest, has been involved in our debt-collection story from the outset--and I'm just now finding out about it. I suspect hundreds of thousands of other consumers also are in the dark about this banking behemoth's ties to their debt-collection issues. We are talking about JPMorgan Chase, which has an estimated $2 trillion in assets, making it the largest private corporation in the world. Based on recent headlines, it also is one of the most unethical organizations in the world--and that might explain why Chase found debt-collection to be an attractive industry. I have written extensively about the experience my wife and I have had with debt collectors who routinely violate the Fair Debt Collection Practices Act (FDCPA), the law that is supposed to govern their actions. I also have shown that the FDCPA is notoriously weak, and that has allowed debt collection to become perhaps the darkest corner of the financial-services sector--and that's saying something, given recent news reports involving scandalous trades and the rigging of international interest rates. JPMorgan Chase has been smack in the middle of schemes that indicate bankers have learned nothing from the near collapse of our economy in fall 2008. 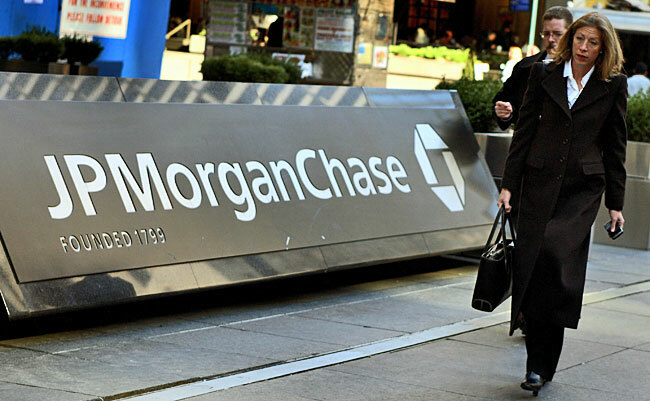 So you can imagine that my schnauzer ears went on alert when a reader informed me recently that JPMorgan Chase has quietly become a major player among debt collectors--and, in fact, has played a central role in our own story. How did that happen? Well, it started on November 15, 2006, when a company called One Equity Partners closed on its acquisition of NCO Group. One Equity Partners, it turns out, is a wholly owned subsidiary of JPMorgan Chase; in fact, it is the company's private investment arm. In our case, the original creditor allegedly was American Express, the debt collector or buyer (I'm not sure which) was NCO Financial Services, and the phone calls came mostly from Ingram & Associates, a Birmingham law firm. NCO is well known for flagrant violations of the FDCPA. Public records indicate that Ingram & Associates' principal Angie Ingram is part of something called the "NCO Attorney Network"--even though her surrogates repeatedly told us Ms. Ingram "worked for American Express," "had been hired by American Express to sue you," "had a fiduciary relationship with American Express," etc. First of all, neither NCO nor Ingram ever sent us anything in writing, informing us of our rights to dispute the debt or have it validated, as required by the FDCPA. They simply started calling us and alleging that we owed a debt. Did they ever offer any written proof that we owed the debt? Nope. But they were happy to say they could sue us and that we could wind up having the deed to our house auctioned off "on the courthouse steps." Could Ingram carry out this threat? Well, they didn't. Seeing as how they never offered a shred of proof that I owed the debt, it's hard to see how they could have. And seeing as how the debt was in my name only, but our house is jointly owned by my wife and me, it's hard to see how they could sell the deed to our house on the courthouse steps. But the fine folks at Ingram & Associates, apparently with the blessing of NCO and American Express, wanted us to believe we could wind up homeless because of an alleged credit-card debt that they had not proved we owed. Thanks to an alert Legal Schnauzer reader, I learned just the other day that JPMorgan Chase was involved in this scam all along. 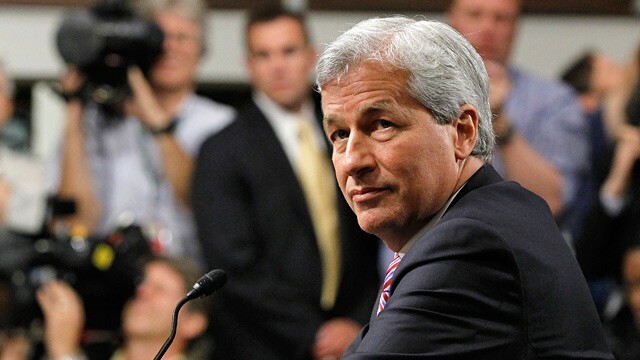 Jamie Dimon, the company's CEO, has become the face of banking arrogance in recent weeks. Dimon's reputation might sink even lower when the general public becomes aware that his firm has dipped a massive toe in the debt-collection swamp. How has this affected Mrs. Schnauzer and me? Let's consider a timeline: One Equity Partners, Chase's investment arm, buys NCO in November 2006; we start hearing from both NCO and its surrogate, Ingram & Associates, in spring 2007. JPMorgan Chase owned NCO for several months before the company ever contacted us. That means Chase was driving the sleazy collection train in our case the whole time. In legal terms, NCO had an agency relationship with Chase, and Ingram & Associates had an agency relationship with both NCO and Chase. That means Chase is vicariously liable for the violations of federal law in our case. If you've been unlawfully targeted by NCO in roughly the past five years, Chase probably is vicariously liable in your case, too. What do we mean by vicarious liability? It's a legal doctrine that arises in many lawsuits and is explained here. NCO never has been a noble outfit; you can Google "NCO and fraud" and pull up volumes of articles about various scams involving NCO and debt collection. But it's possible that the company has become even worse since falling under the JPMorgan Chase umbrella in late 2006. After all, consider what we've learned about Chase in recent weeks: It made a monstrously bad trade that resulted in a loss that first was estimated at $2 billion and now has risen to $5.8 billion--the total loss might wind up being $7.5 billion. Chase also has been linked to the LIBOR rate-fixing scandal that, so far, has focused largely on the British bank Barclays. How dirty is JPMorgan Chase? The world is in the process of finding out. But my wife and I got an up-close view in the course of our debt-collection matter. For posterity's sake, I tape recorded several conversations in which Ingram representatives made multiple statements that grossly violated the FDCPA. We soon will be sharing those tapes with Legal Schnauzer readers. It will give you cringe-inducing insight into the way large debt collectors try to frighten consumers into paying debts they might not even owe. And you can almost bet, in many cases, the collectors cannot prove a particular consumer owes a specific debt. That's because record-keeping in the debt-collection field is worse than sloppy; it's almost nonexistent. But that doesn't stop collectors from trying to con consumers into paying money they might not legally owe. That's what happened in our case. And we now know that various entities were operating on behalf of JPMorgan Chase all along. Was Lawyer Chace Swatek's Injury a Sign That He Had a "Huffing" Problem? Alabama attorney Chace Swatek was seriously injured in a fall last summer, according to posts on his Facebook page. Was the fall caused by inhalant abuse, which is commonly known as "huffing"? We don't have a definitive answer to that question, but experts say falls, car crashes, and other types of accidents can be signs of a huffing problem. And a source has told Legal Schnauzer that investigators found evidence at the scene that led them to think huffing contributed to Swatek's death. Death from inhalant abuse can occur after a single use or after prolonged use. Sudden sniffing death (SSD) may result within minutes of inhalant abuse from irregular heart rhythm leading to heart failure. Other causes of death include asphyxiation, aspiration, or suffocation. A user who is suffering from impaired judgment may also experience fatal injuries from motor vehicle accidents or sudden falls. It appears that Chace Swatek's friends and family members either missed, or ignored, signs that he had a serious problem with substance abuse. His fall probably was the most alarming sign of all.